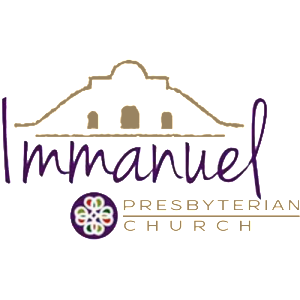 Immanuel Presbyterian Church is a welcoming, accepting community of Christians who find joy in worship and service to others. We believe we are called by the Holy Spirit to demonstrate God’s love to all people. We open our doors to all who wish to enter and know Christ’s love. We affirm theological diversity within our Immanuel community. In our worship we use music from our own tradition and from around the world to glorify and praise God; we read the Word and preach using inclusive language; we encourage the children of our church to participate in worship. As Christ’s disciples, in our life together we support one another in our individual and collective spiritual journeys. As a congregation we value opportunities for fellowship, for questioning and learning, and for conversation. We are open to embracing new ways to serve locally and globally. We affirm the centrality of biblical witness for our faith and life. We understand the Bible to be the product of human encounters with God and Jesus Christ—a sacred text full of spiritual insights into living a God-centered life, one full of God’s love. We affirm the centrality of Jesus, who discloses the way of God to us and what it means to live a life full of God. We seek to follow Jesus as God’s word to us. We respect those who follow other spiritual paths; we can learn from each other. We affirm God’s glory and mystery that are continually reflected in all God’s creation. We are called to be faithful stewards of God’s creation. We affirm the diversity within the human family as a gift of God. We celebrate the image of God in all people. We affirm our commitment to stand with those in need. We will work for peace and justice in the church, in the community, and in the world. We affirm the importance of the separation of Church and State as set forth in our American constitution.